Brenden Jaimes was not the most highly-touted of Nebraska’s 2017 recruits. In fact, he was not even the highest-rated lineman according to the Hail Varsity composite. However, stars and recruiting rankings mean nothing once the players set foot on campus and Jaimes has quickly worked his way up the depth chart during fall camp. On Aug. 3, offensive line coach Mike Cavanaugh singled out Jaimes as one of the young linemen who had impressed him early in camp, saying he was working behind back-ups Christian Gaylord and Matt Farniok at both tackle spots. However, over the last two weeks, Jaimes as been working as the No. 2 left tackle behind junior Nick Gates and ahead of Gaylord. Cavanaugh had more praise for him after Thursday’s practice. What has allowed the 6-foot-5, 250-pound native of Austin, Texas, to make so much progress so quickly? It’s the mental side of the game for Jaimes that has really stood out to Gates. That is high praise for someone who has yet to play a snap of college football, but it speaks to the work Jaimes has done to this point. Has Jaimes made enough progress to avoid a redshirt? The coaches have not yet made that decision but they will soon. However, if Gates can stay healthy that conversation could be rendered moot. After earning his way onto the field as the starting right tackle as a redshirt freshman, Gates was banged up much of last year after moving to the left side and closed the season by struggling mightily against Tennessee and current Philadelphia Eagle Derek Barnett. When Gates first arrived in Lincoln, he did not believe he’d see the field until his junior year. Now, with his junior season about to start and with two years of starting experience under his belt, Gates said he feels good with where he is at in his development. Gates said Cavanaugh has been riding the linemen all summer, encouraging Gates to clean up some of the technique issues — like posture and hand placement — that led to his struggles in the bowl game against Tennessee. As the linemen have grown, so has their relationship with Cavanaugh. 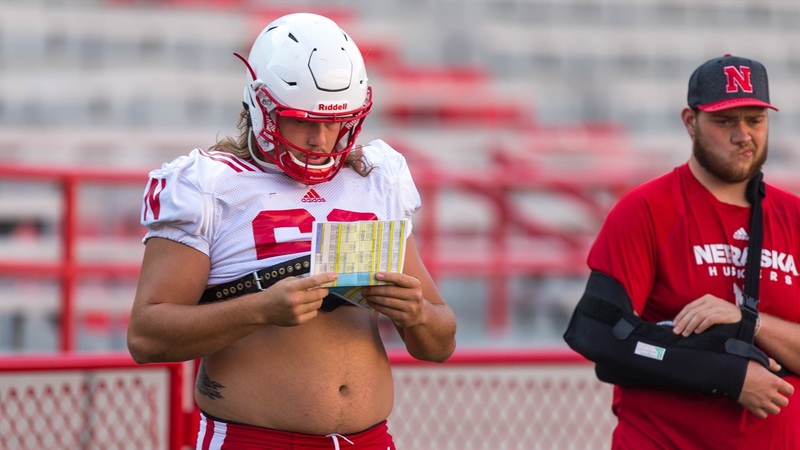 With Gates as the cornerstone of the line and players like Jaimes waiting in the wings, the left tackle position at Nebraska looks to be in good hands.